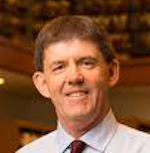 Kevin Mulroy is the Associate Executive Director for Research Collections and Services in the university libraries at the University of Southern California. He is the author of Freedom on the Border: The Seminole Maroons in Florida, the Indian Territory, Coahuila, and Texas (Lubbock: Texas Tech University Press, 1993), and the co-editor with Lawrence de Graaf and Quintard Taylor of Seeking El Dorado: African Americans in California (Seattle: University of Washington Press, 2001). Mulroy’s most recent publication is the essay "Seminole Maroons" in the Handbook of North American Indians, Vol. 14: Southeast (Washington, DC: Smithsonian Institution Press, 2005). His latest book, The Seminole Freedmen: Ancestry, History, and Pride, will be published by the University of Oklahoma Press in autumn 2007.